On the 11th of September 1943 No. 9 Commando, strength 27 officers and 427 ORs under the command of Lt-Col R.J.F. TOD, set sail from Liverpool, England to join No. 2 S.S. Bde in Italy. The Commando sailed in H.M.T. "Athlone Castle", the ship which had carried it back to U.K. from Gibraltar less than six months previously. The ship's company gave the Commando a very fine welcome, and many old friends met again. The ship was very crowded and little training was possible during the voyage. The Commando was made responsible for the complete provost duties on board, and those duties kept it well employed. The ship was dry but previous staff had considerably moistened matters. The voyage was uneventful and the Commando disembarked safely at Algiers, N. Africa on the 27th of September. The two main reasons why the Commando did not go direct to Italy were (a) the unsettled L of C in newly invaded Italy and (b) to allow the Commando to become acclimatised to hot climates. The need for it was borne out by the numbers admitted to hospital suffering from dysentery. The Commando were stationed in 'P' Reception Camp, 15 miles S.E. of Algiers. There it underwent the transformation from battle-dress to khaki drill, the intricacies of puttees, the correct measurements of shirt sleeves, hose tops, etc; the unveiling of knees, the battle with insects, the extra discipline required for the unit's health and hygiene. The yellow peril did not materialise, mepacrine did not affect the complexion, but had alarming effects on the bowels until it was warned how best to take it. By the time the unit had to move forward to Italy it was fully acclimatised for tropical countries. The three weeks in Africa were use in mountain training, physical work and night training. Also the Commando was called on to provide personnel for P.W. escorts, dock fatigues, ammunition dump fatigues and guards for the B.O.D. Everyone had given up hope of seeing Italy when the Commando eventually received its movement orders. The journey from Algiers to Bizerta was a new experience for the Commando, and a three and a half days train journey in horseboxes. Leaving Algiers on the 23rd of October, Bizerta was reached on the 26th. At Bizerta the Commando was accommodated in the Texas Transit Camp. Why it was called Texas was never discovered unless because of the oily sea of mud on which the camp floated. On the 30th of October the Commando embarked LCIs and sailed next day. The voyage was uneventful except for a few hours stay at St. Augusta, Sicily, where the Commando loosened cramped muscles with games and P.T. followed by baths. The mainland of Italy finally came in sight and the Commando disembarked at Taranto on the 6th of November. Another train journey took the unit to Molfetta, 15 miles north of Bari on the Adriatic coast of Italy where it came under the command of No 2 S.S. Bde, comd. Brig T.B.L. CHURCHILL MC. Billets were found in a large school in the centre of the town. The Commando had only been in Molfetta three hours when the Germans welcomed it to Italy by dropping a bomb on the town which blew out all the windows in the billets. A week in Italy and the Commando was back into B.D. It was not mosquito cream that was required here but frostbites lotion. It was intended to introduce the Commando to the battle at first by troop raids. Meanwhile, the unit settled down to training. The country with a 40 miles radius round Molfetta was one massive olive grove, which prohibited any kind of advanced training. Initially the unit concentrated on individual training consisting of officers TEWTs, NCOs cadres, range work and WT cadres. The first troop operation was carried our by No. 2 Troop under the command of Capt. J. McNEIL. The task was to reconnoitre the islands of Tremiti and Piansoa 48 miles east of Termoli. The force embarked on a LCI(L) and an Italian M.T.B. at Termoli on the 15th of November. The islands were unoccupied and after searching them, the force returned to Italy. A suitable area for troop training was found at Minervino, 56 miles from Molfetta, and it was intended that each troop in turn would undergo ten days intensive training there, commencing with 4 Tp. It so happened that it was the only troop to complete this training as, on the 1st Dec. the Commando was moved from Molfetta to Bacoli, 21 miles North of Naples on the coast. The reason for this move was that the weather in the Adriatic was now considered unsuitable for small landing craft. A two day train journey in horseboxes took us across Italy. At Bacoli the troops were billeted in a Castle, a part of which was an orphanage. HQ was in a building on the beach which on a calm day was licked gently by the sea, but in a storm its lower floor was awash. In fact, the Orderly Room was washed away one day. The Commando's long period of operational inactivity was now to come to a close, and in no mean manner. In the previous three years almost every operation planned for the Commando had been cancelled, in the next three months almost every one planned took place. The 5th Army's left flank had now reached the River Garigliano where it was held up by strongly entrenched enemy in the mountains North of the river and farther East at Cassino. These mountains completely dominated the Southern bank of the river to a depth of three miles. 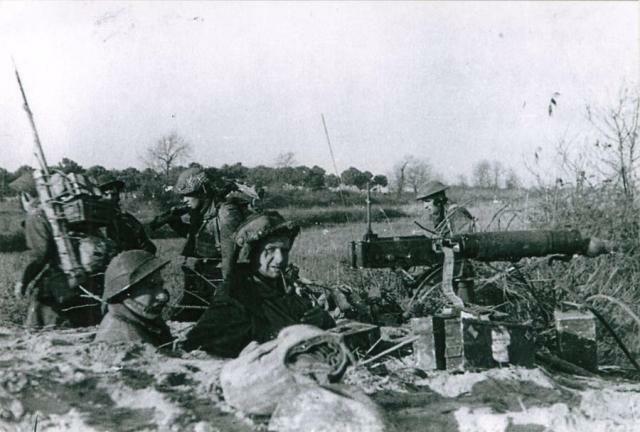 10 Corps was on this left flank and as the Commandos now came under its command, it was decided that 9 Commando would carry out an amphibious raid on the North side of the Garigliano. The operation was called "Partridge". The next weeks were spent in training for this operation. An area roughly similar to the ground on which we were to operate was found. Landing craft were made available for training and a full-scale rehearsal was carried out from the LSIs "Princess Beatrix" and "Royal Ulsterman". On almost every night some kind of night training was carried out. All Christmas festivities had to be postponed. On Christmas Eve the Signal Officer gained fresh popularity by holding a signal exercise, which necessitated troops HQs being represented. The skies poured down and most troop HQs had to wade along paths one foot deep in mud and water. 5TP HQ, on sheltering in a tent of an American Camp in an endeavour to regain communications , found itself in the middle of a Christmas party. It was thus technically established that vino does not cause as much absorption as aqua. On Christmas Day the A.O., on returning from a visit to the 3rd Pn Rangers, U.S. Army Commandos, turned right, instead of left, into HQ and walked straight into the sea. The sea for the past week had been covered with a thick coat of oil. The guard managed to pull him out. It can be said he was well and truly oiled. The day before Op "Partridge" the M.O. received a Christmas present, a book "Death Tomorrow"! The main hazard of the operation was the return across the Garigliano, a fast running river, a hundred yards wide. The CO's request for DUKWs was granted and training in these was carried out. On the 29th Dec. operation "Partridge" took place. It started very badly, as the Navy landed the Commando 95 mins too late and 1000x away from the correct beach. Thus daylight found the Commando still on the enemy side of the river. At the mouth of the river the main body of the unit returned by DUKWs, but 4 and 6 Tps had to cross the river 2700 yards up from the mouth by swimming and use of ropes. This they successfully achieved, bringing back their casualties. The bagpipes were very effectively used on this operation. When HQ had established itself at the mouth of the river most of the personnel made no attempt to dig themselves in. After one Jerry stonk, the C.O. says they dug so fast, he literally saw them sink into the ground. After this successful operation, the Commando celebrated Christmas on New Year's Day. On the 3rd of Jan 5 Tp carried out a patrol to the mouth of the Garigliano. The first half of January was spent in preparation and training for future operations. Several operations were proposed by 5th Army, then scrapped. These included an attack from the sea on the German bastion at Gaeta, guerrilla warfare in the hills North of Rome, and the capture of Rome by 2 S.S. Bde alone. All these different plans required the unit to change its type of training for each different role. One day a man trained carrying loads of 68 lbs, next day he was in light assault order. Finally it was decided that the Commando would take part in Operation "Shingle", the landings at Anzio. On the 20th Jan the landings were made, meeting very slight opposition. The Commando had never carried more ammunition and fired less. On the 25th Jan when the Commando was withdrawn from the beach-head and returned to Bacoli, it was wondered why the Commando should have been with withdrawn so early, the reason was soon known. On the 30th Jan the unit moved off on Operation "Ornito". Operation "Ornito" took the Commando into the mountains North of the Garigliano over tracks, which even mules shunned to tread. The force was made up by 9 and 43 Commandos. Any propaganda the enemy were short of ammunition was quickly dispelled by the Commandos during this operation. Never had so much been dropped on so few. Although the final objective was considered untenable, Mt Ornito was secured and the Field Army were unable to make any further advances from there for three months. The Commando returned to Bacoli. Up to date the unit had suffered 150 casualties, the C.O. was wounded, the 2i/c missing and Adjt, Capt. M.R.H. ALLEN, assumed temporary command of the Commando. It was impossible to maintain five rifle troops and the unit was reorganised into three squadrons. The C.O. returned from hospital and went to Bari to arrange the transfer of the Commando to the Adriatic for operations on the Dalmation coast of Jugoslavia. It was felt that an operation using the whole Commando was out of the question until reinforcements arrived. This complacency was rudely shattered by a cryptic signal on the night of Feb 27th from 5th Army HQ; warning the Commando to be prepared to embark for Anzio on Mar 1st. The C.O. was still in Bari and it was hoped a mistake had been made. Nonetheless, on the 1st March, the Commando, strength now 14 offrs and 255 ORs, embarked at Baia on two LCIs for Anzio. Anzio was not the same. The pleasant seaside town was now a shattered battlefield. A new phase was started for 9 Commando, living underground for a protracted period. Many ideas for post war housing could be seen in the various dugouts. The Command Post was a thing of beauty, heat and running water, (when it rained). Life was rather trying, you never knew where your next shell was coming from, the M.T. section had rather a hazardous time. All rations and stores had to be transported by them across tracks more resembling mud pitches, all the time subject to mortar and shell fire. In the innumerable wadis found in the sector in which the Commando was, one could never be sure if the enemy were in front or behind you. Even visiting forward Bn.HQs was a hazardous business. 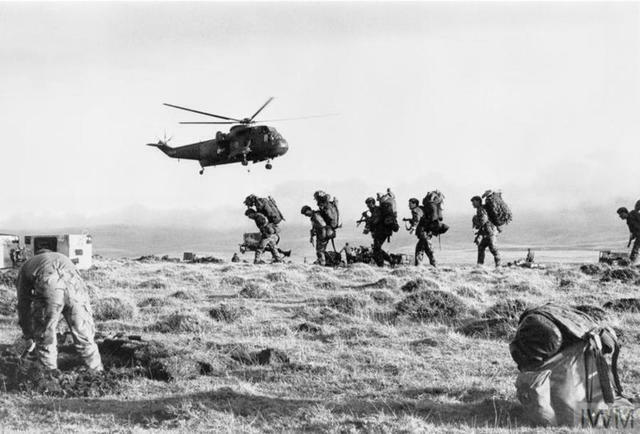 During the first nine days in the beach-head, the Commando carried out 10 battle patrols, 5 Recce patrols, and 2 attacks of a troop strength, while each squadron had a short period in the line in a patrol and counter attack role. Much useful information was obtained. One prisoner captured by A Sqn. on the 36 U.S. Combat Engineers sector was the first from that sector since the beach-head was formed. On the 19th March, the Commando carried out an attack on an enemy held wadi. Originally, this attack was cancelled except for 9 Commando's part. The wadi battle will remain vividly in the memory of those taking part. It will be considered their longest 24 hours. Incidents flash to mind: the C.O. as No 2 on the Bren to Duggie Brown, the Officers' Mess Cook; Capt BASSETT-WILSON's "Hurry up or you will be too late to throw your grenades at the Germans"; when the I.O. was hit in the water-bottle, the C.O. greeted the gush of escaping water with "Good God, he has been hit in the bladder". This battle was the first offensive action on the beach-head for a long time, and for days after it the Germans displayed great signs of nervousness. On the 24th March the Command left Anzio. Dream of clean clothes, dry billets and baths awaiting at Bacoli were rudely shattered when the unit disembarked at Puzzoli. The unit station had been moved to the Adriatic coast of Italy. An unpleasant evening was spent in the former QM stores at Bacoli. Next day the Commando left Naples by train and crossed Italy in the middle of a snowstorm. On the 27th March the unit arrived at Molfetta. A phase in the Commando history of 9 Commando had come to an end. Of the unit that had sailed from Liverpool in Sept 1943, there were only 11 officers and 217 ORs left. The percentage of casualties suffered to date was: Officers 80%, ORs 62%. The Commando was about to be rebuilt. The following months were spent recruiting, training and reorganising. Owing to the great difficulties in training, recruiting and training areas, this was to be no easy task. Operational commitments had necessarily to be curtailed. A draft of 11 officers and 80 ORs arrived from the U.K. on 24th April. As no more drafts could be sent from U.K. on account of the forthcoming Western Invasion, recruiting had to be done locally and reinforcements could not come from the hard pressed infantry. Main sources of recruits for Special Services were the R.A. and R.A.S.C. While these men were of good calibre, they had first to be trained as infantrymen, then secondly as Commandos. Some of them had never seen any infantry weapons other than a rifle. Many trips across Italy were taken by officers, chiefly the 2 i/c, Major M.R.H. ALLEN MC, to interview volunteers. Major R.A.C. CAMERON MC even had to return to Anzio. One of the few occasions, if not the only time, volunteers for Commandos were interviewed under fire. Once the volunteers were accepted, there was a considerable delay before they finally reached the Commando. A training troop had to be formed to handle all new intake personnel. The training period started with intensive drill and W.T. periods. This was most essential to bring them up to required in discipline and in handling weapons. Once they were considered proficient, they were posted to troops where they underwent field training. It was decided to rebuild the Commando a troop at a time, commencing with 1 and 5 troops, and these troops were able to start troop training on 25th May. Once again, the training area had to be found outside of Molfetta. Minervino was unsuitable at the time, so bivouac camp was set up outside Monopoli, 45 miles from Molfetta, and the troops, as they were reformed, carried out training there. The heavy weapons troop found a suitable area at Altamura. On the 31st July the bivouac camp was moved further South to Crispiano, 12 miles from Taranto. The area here permitted two troops training together. At this camp one of 4 Tp went sick with an ulcerated stomach. To his Tp Leader's surprise, the sick report excused him boots. Capt. E.J. D'ARCY MC, the M.O., on being confronted with this said "Well the Army marches on its stomach, doesn't it?" During this troop training period, HQ was kept busy planning operations and administering the widely scattered troops. Altogether, nine operations were planned and 27 movement order issued. 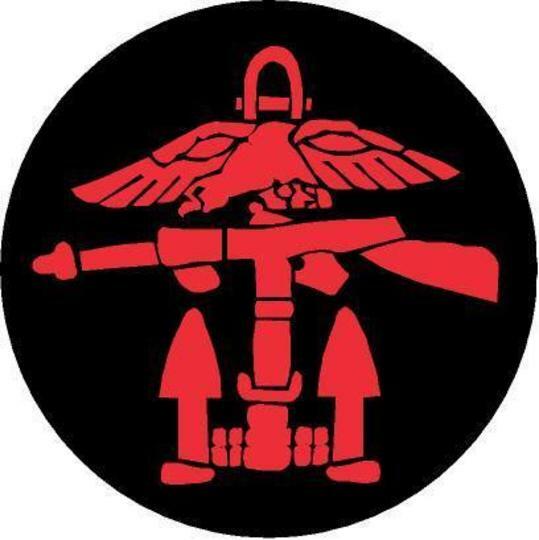 Operationally the Commando was under command of Force 133, renamed Force 266, then 399. A planning staff was formed consisting of the C.O., Major CAMERON MC; and the I.O. The first operation "Independence", destruction of a radar station on Corfu, was cancelled in favour of "Landlubber I", an attack on a German garrison at Himara, Albania. Capt. BASSETT-WILSON, MC was dropped by parachute to make a reconnaissance. On his report, it was decided that the operation was unfeasible with the force available, and was accordingly postponed. Operation "Landlubber II" was planned to take place in the same area, it was to employ a troop in a guerrilla warfare role. Owing to enemy movements, this operation had to be cancelled. Meanwhile under "A" Force, two troop operations "Darlington II" and "Pipsqueak" had been placed, and 2 and 4 troops carried them out on the 24th May and 14th June respectively. These operations were similar, and entailed the bringing off by sea of escaped PWs from behind the enemy's line. On "Pipsqueak" the landing craft beached so solidly that the entire troop had to swim to another craft. The Commando now came under the command of the newly formed Land Forces Adriatic. Planning continued unabated. Operation "Gradient", a troop raid on the Northern Adriatic islands of Lussin and Cherso, was the next to be planned. After any changes in the target, 5 troop carried out the operation successfully on 9th August. No. 2 S.S. Bde returned to Italy on the 24th August from Vis, Yugoslavia, and the Commando once more came under command of L.F.A. Planning commenced for Brigade operation to capture the Dalmation island of Korcula. This was cancelled by A.F.H.Q. Finally operation "Aplomb" appeared and this was to be the planning staff's farewell to L.F.A. They, having looked at so many air photographs, were cross-eyed and had stereoscopic vision. Most of the Balkans was familiar to them through a stereoscope. In fact, when the I.O. flew from Greece to Italy some time later, he instantly recognised some familiar spots in Albania. The planning staff now appreciated that the really important decisions were not made in the Executive Planning Room, but in the bar of the Imperial, the British Officers' Club. On the 15th August, the Commando moved to a staging camp 6 miles North of Taranto and underwent Commando training. For operation "Aplomb" a force, to be know as 'Foxforce', was formed. It consisted of 9 Commando with under its command four patrols of S.B.S. ; one patrol of L.R.D.G., and 75mm gun sec; 4.2" Mortar dets and 0.5 MG Sec R.S.R. Original object of the operations was to destroy a radar station on Kithera Island, South of the Peloponnese. Capt. BASETT-WILSON MC with a patrol of S.B.S. was dropped by parachute in Kithera. P.R. on the 9th Sept showed radar destroyed. The patrol reported the island evacuated by the Germans. The Navy decided to use Kithera as a forward base for Coastal Raiding Forces and Foxforce was to hold the naval base. On the 14th Sept the Force sailed from Taranto in LSI "Prince David" and on the evening of 15/16 Sept landed in Avlemon Bay, Kithera. The population gave the Force a terrific welcome. Next day the Navy decided that Kapsali would make a better anchorage, so all the stores had to be reloaded and shipped round to Kapsali. The ELAS at first appeared friendly and co-operative and their Ops round the island were made part of our defences. The Commando held a defensive perimeter round Kapsali Bay, living in odd buildings or bivouacs. The S.B.S. and L.R.D.G. patrols set off on recces of Poros, Aiyina and Salamis islands and Navplion in the Peloponnese. Operation "Manna", the landing of British forces at Piraieus, was planned to take place at the beginning of October. Foxforce's job on "Manna" was to knock out the C.D. guns on Aiyina. HQ, while endeavouring to plan these future operations, was besieged by oppressed Greeks, naturalised British and American subjects, appeals for relief, etc. It also became apparent the ELAS were carrying out subversive activities. The Force was not able to deal with any of these problems because (a) its only job was the prosecution of the war against the Germans, (b) no staff or experience in these matters, and (c) no fixed policy was given by higher authorities. Foxforce HQ to be found from 9 Commando HQ and this placed a big strain on it. This was helped a bit by a C.A.O. and "G III" sent from L.F.A. One additional difficulty at first was the time. The Navy worked on Cairo time, Foxforce on Italian time and Greeks on local time. All different! In the last week of September the Germans withdrew from the Peloponnese, leaving the Greek Security Bns behind. A naval recce party reported from the Peloponnese town of Kalamata that help was required from British troops to prevent bloodshed between the ELAS and the Security Bn at Tripoli. The latter had declared their willingness to surrender to British troops. The C.O. immediately set off with a troop to Kalamata, where he managed to arrange the surrender of the Security Bn. They were to be taken under a joint British and ELAS guard to Spetzai, an island off the Peloponnese. At one period during these negotiations, the C.O. found himself left alone amidst a band of ferocious guerrillas as a sign of good faith. The surrender was carried out successfully and the C.O. returned to Kithera, leaving Major R.A.C. CAMERON MC in charge of one section to act as British part of the guard. En route for Spetzai, Major CAMERON managed to arrange the surrender of the Security Bn garrison at Navplion. This was no easy task as fighting had already broken out between the garrison and the ELAS. After overcoming many difficulties in transport and shipping, Major CAMERON's party reach Spetzai on 5th Oct. A Stirling woman summed up the situation in the Peloponnese for Major CAMERON when she said "It was Hell under the Germans but worse with the ELAS". On the 24th Sept 'C' Sqn of the Greek Sacred Regiment arrived from the M.E. and came under the command of Foxforce. The patrol to Poros reported that the island had been evacuated by the Germans. The Navy decided to move the naval base to Poros and on 30th Sept the Force sailed on minesweepers to Poros. On the Force's arrival in Poros Bay at first light on 1st Oct, there was wild firing from the shore. An opposed landing was feared until it was realised that it was an old Greek custom to signify welcome. Again the population was jubilant. The force took up positions around the bay with Ops on the hills overlooking Aiyina, 11 miles away. Any craft venturing on the North side of Poros Island was shelled from Aiyina. Again the Force was confronted with civilian problems. The ELAS in the newly liberated Peloponnese were not losing much time in assuming control. Opponents conveniently disappeared, men were conscripted and food was pillaged from villages. Many Greeks arrived at Poros driven from their homes by terror of the ELAS. Major CAMERON's party at Spetzai reported the ELAS were being most uncooperative and were indulging in anti-British propaganda. Planning for the operation on Aiyina continued. There was no air cover of the island in spite of urgent appeals to L.F.A. Much information was obtained about the German positions in the Gulf of Athens from patrols and interrogation of German PWs and Greek caique skippers. Briefing was handicapped by the necessity for all orders having to be translated to the C.O. of the Sacred Greek Regt. By the 11th October all plans for the attack on the Aiyina C.D. Batteries at Perdhika and Tourlos were firm. D-day was on the 13th Oct. Air and naval support was arranged including preliminary softening up raids on D - 1. On D - 2 the enemy evacuated Perdhika and the plans had to be changed accordingly. Then on D - 1, AFHQ ordered an attack on Fleves Island to coincide with the Aiyina attack. In the afternoon of D - 1, patrols reported Aiyina completely evacuated. "Emergency Operation" signals sped back and forward between Poros and Italy. All changes in the air support had to be made through L.F.A. in Italy. Changes in the naval support had to go via S.N.O. Poros to the Navy in the M.E. at Alexandria. To add to the excitement, a plane from M.E. at last dropped us the long requested air photographs. They were the air cover of Poros and Aiyina! On the evening of D - 1, the 12th Oct, the final orders from L.F.A. arrived: cancel attack on Aiyina, secure port of Piraieus and aerodrome at Kalmaki preventing demolitions at both, D Day the 14th that same night the OPs reported many demolitions at Piraieus. On the 13th October a small patrol went to Fleves and found the island evacuated. At 2100 hours on the 13th the Force embarked on 2 LCTs and sailed for Piraieus. The minefield between Aiyina and Piraieus was successfully passed at first light on the 14th. As the landing craft came in sight Piraieus harbour, every available craft in the bay came speeding towards them. In no time the Force was surrounded by a cheering armada. The Germans had left the day before. On the shore could be seen a solid black mass of Greeks. The caique harbour had been left undamaged so the landing was made there. The assault troops made a beach-head in the crowd to allow the force to disembark. The C.O. of the British Military Mission in Athens decided it was essential that British troops should enter Athens immediately in order to prevent civil disturbances. The Force made a quick change from denim battle order into K.D. parade order, and by bus were taken to the outskirts of Athens. There the Force was joined by a weak company from No. 4 Para Bn, who had dropped at Megara airfield that morning, and were just in time to take part in the entry into Athens. The Force made a ceremonial march through the streets of Athens to Constitutional Square. Vast crowds cheered the procession and at time almost engulfed the Force. In Constitutional Square the Force was inspected by the Greek Military Governor of Attica. Then the Force marched past the Unknown Warrior's Tomb on which the C.O. laid a wreath. The C.O. received the Freedom of Athens. Billets for the Force were provided in the Melakon building in the centre of Athens. There the Force was virtually imprisoned by madly cheering crowds. This building became the centre of demonstrations and processions which continued by torchlight after dark. Greek political slogans, songs, dances, loudspeakers and more political slogans rent the air. The only starving people in Athens that night was Foxforce, having had no food that day save a haversack breakfast at 0500 hrs. Late at night M.T. forced the way through the mob and raised the siege. The following days saw no diminution in the crowds. HQ was engulfed by German deserters, Italian PWs seeking protection, British and American subjects, escaped Allied PWs, Greeks desiring jobs with the British Forces. Once the main body of British troops arrived, Foxforce was unceremoniously thrown out of the Melakon building and given as billets a louse-ridden school, which was uninhabitable. Every respectable billet had been chosen in Cairo for other units from a town plan. Foxforce found its own billet, outside of Athens. The Force now came under the command of No. 2 Independent Para Bde Gp and was renamed Commando Force. The S.B.S. and L.R.D.G. patrols ceased to be under command. It was decided that Commando Force, renamed Scrumforce, should be the advance party of the occupational troops for Salonika. On the 29th of October the 'C' Sqn. Sacred Regiment ceased to be under command of Scrumforce. On the 30th October the Force embarked at Piraieus on LCIs. The stores were loaded on caiques with Lieut. P.H. BOLTON i/c. When a storm dispersed the caique fleet, it became known as Bolton Wanderers. Just prior to leaving Piraieus, the CC, Lt-Col R.J.F. TODD DSO, had to return to Italy to assume command of No. 2 S.S. Bde in succession to Brig. T.B.L. CHURCHILL MC. Major M.R.H. ALLEN MC assumed temporary command of 9 Commando and Scrumforce with the local rank of Lt-Col. On the 31st October the Force disembarked at Skiathos Island, which was to be used as an advance staging area for Salonika. Bivouacs were made in an olive grove. On leaving Italy the Commando had been ordered to prepare for a three weeks operation. It was now well into the second month of the Force's stay in Greece and the stores were being heavily strained. On the 2nd of November Flyforce, commanded by Major R.A.C. CAMERON MC, the advance party of Scrumforce, entered Salonika. Three days later, after one of the worst voyages ever experienced, the main body of Scrumforce arrived at Salonika. The craft had crossed a heavily sown and unswept minefield, which later proved very destructive against following convoys. The ELAS were in complete control here. The main body of British troops arrived on the 7th November. Scrumforce was split up. The R.S.R. detachments ceased to be under command. Lt-Col HAMILTON-HILL, the C.A.O., returned to Italy. 9 Commando was left by itself and came under command 7 Ind Inf Bde. On 13th November a detachment of 50 All Ranks formed part of a guard of honour for the arrival of MODIS, Governor General of Salonika. There was a tense situation at Drama between Nationalists and the ELAS. Co 9 Commando had to despatch two troops to show the flag and maintain order by their presence. 1 and 2 Tps made up this force, called Dramforce, under the command of Capt. H.T. KITHER. The journey to Drama was rather a long business owing to enemy demolitions especially at the river Strymon which had to be crossed by a slow ferry driver by the current of the river. Dramforce held ceremonial parades in Drama and the neighbouring towns, which greatly impressed the local populace. A patrol was maintained on a temporary boundary set up between the ELAS and Nationalists. The situation remained tense the whole time Dramforce was there. Dramforce were relieved by 1st Coy R. Sussex and returned to Salonika on the 1st December. At the beginning of November 9 Commando was split up all over Greece. The main body was at Salonika, a rear HQ in Athens, two troops were at Drama, one section was at Skiathos, and one section still at Spetzai. In addition there was a rear party in Italy. On the 1st December Lt-Col. J.M. DUNNING-WHITE, 8 Hussars, arrived from U.K. fresh from the Western front, to take over command of No. 9 Commando. When fighting broke out in Athens a high state of preparedness had to be maintained in Salonika. On the event of the outbreak of fighting, all forces in Salonika had to withdraw into and hold a perimeter. The Commando had to provide guards for several VPs and PW escorts. The Commando's role in the perimeter changed several times, and the C.O. had to change his plans accordingly. Adding to his difficulties was the necessity of carrying our recces as unostentationously as possible, pretending he was sightseeing. As the situation had deteriorated, the Commando had to move into the perimeter and was billeted in Allatini Flour Mills, the troops living amongst the machinery. Everyone was confined to billets and street patrols were sent out during the hours of darkness. Christmas once again could not be celebrated on 25th December, all festivities being postponed. The ELAS remained very correct, but obstructed the British at every turn, while expounding the most violent anti-British propaganda. A football match the C.O. had arranged with the ELAS was cancelled by EAM. Spies were everywhere. The C.O. and 2 i/c were sniped at in their car. The ELAS celebrated the New Year by firing all their weapons into the air. The Military Command in Salonika feared that the ELAS attack had commenced and ordered a stand to. So 0030 hrs on the 1st January 45 saw 9 Commando standing to, ready for battle (hic). Woe to any foe that had crossed their path that night. The beginning of January saw the complete rout of the ELAS in Athens, forcing them to seek terms. By the conditions of the terms they had to withdraw outside the Salonika area and be clear by the 16th January. The C.O. with 1, 2 and 5 Tps patrolled an area up to the withdrawal boundary to confiscate any stores not clear by midnight 16th January. The whole Commando was then employed in house searching for arms and ammunition. During this period a certain amount of sport was carried out. The football team played very well and was highly placed in the Salonika League. A very successful novices' boxing competition was run. The Greek situation by the end of January being under control, it was possible to release 9 Commando from Greece. The three weeks stay in Greece had dragged out to almost five months, by the time the Commando left Salonika on the 6th February aboard two LSTs. No one was really sorry to leave Greece. The stay in Salonika had been most irksome and uncomfortable, being neither one thing nor the other, battle or peace. Most of the unit's kit was still in Italy. Welfare was very slow in arriving and the Commando always seemed to be one step ahead of it. Training was impossible owing to the many moves and constant state of emergency. Altogether, save for a few days in Athens, the Greek campaign for 9 Commando was marked by constant fatigues, guards, moves and periods of stand to. After a four week voyage, the Commando arrived at Taranto on the 10th February. By the 11th the unit had moved into its new station at Martina Franca. The next weeks were spent in reorganisation, administration and training. W.T., Sen NCOs and Sub Offrs demolition, snipers and field craft cadres were held. The Commando classified in all weapons. The period of time given to the C.O. for this very essential work had to be curtailed by operational necessity. On the 11th March the Commando had to move to Ravenna to join 2 Commando Bde. The move was made by train to Rimini and thence by M.T. arriving at Ravenna on the 14th. The armies in Italy, bogged down for so long, were preparing for their final big offensive, in the initial stages of which, 2 Commando Bde were to play a large part in operation "Roast". 9 Commando started training for its role in this operation. It was introduced to and became familiar with the new types of equipment it was to use; Stormboats, LVTs (Fantails); Weasels, Lifebuoy flamethrowers and Littlejohn 2 pr A.tk guns. Each troop spent a few days in the line to familiarise it with the type of terrain over which it would be operating. On April 1st the Commando left Ravenna for operation "Roast". This was an amphibious operations involving a crossing of Lake Comacchio. This must stand out in Commando history as one of the most hazardous and complicated operations ever undertaken. The special craft intended to carry the troops across the lake had almost to be carried themselves by the troops. The operation was very successful. During the operation, a man complained that he had no cigarettes. His L/Cpl reminded him that he had been issued seven that morning. "Seven!" he objected. "I smoked them all in one stonk". After the heavy morning counter attack had been repulsed, rations and mail reached 5 Tp. Pte LANCASTER received a book "Bullets for Breakfast"! The next operation was when one section of 4 Troop under Lieut. P.H. BOLTON was sent to occupy certain islands on Lake Comaccio (Op. "Fryforce"). This was uneventful. Capt. M.A.W. DAVIES MC rejoined the unit from Staff College, Haifa, on 10th April and took on the job of Adjutant again. The Guard Room has remained full ever since. On April 11th the C.O. received notice to mount another amphibious operation "Impact Royal" under 24 Guards Bde. It was again over Lake Comaccio, but this time on its South West shore. Little time was given for planning as the Commando had to leave its base, Marina di Ravenna, P.M. on 12th April, embark that night and land the next day in broad daylight - on Friday 13th! The operation was carried out in Fantails (LVTs IV). The landing proved to be unopposed. The operation then took on in principle two bashes against the enemy to clear up to an cross the Fossa Marina which was holding up the advance of the Guards Bde. Though the Commandos did not succeed in crossing, it made it possible for the Brigade to cross, first by clearing the enemy from some very strongly defended positions South of the Fossa Marina, then by knowledge gained of the enemy, his weapons, positions, and the nature of the water obstacle with its many hazards. The Commando returned to Marina di Ravenna on 17th April. Owing to the casualties sustained on Ops "Roast" and "Impact Royal", the C.O. reorganised the Commando into three rifle troops and a heavy weapons troop. V.E. Day, 8th May 1945, 9 Commando, strength 25 Officers and 430 ORs, paraded for an address from the C.O., followed by a service of thanksgiving and remembrance, the sounding of the "Last Post, Reveille and Cease Fire." All ranks then had a issue of rum. The Sergeants marched with pipes to the Officers' mess which was drained dry. At night a bonfire was lit and toasts drunk round it in vino. This ends another phase in the history of 9 Commando. What the future holds is as yet unknown. One more phase or many? Who knows? Brig. T.B.L. CHURCHILL MC; Comd. 2 S.S. Bde inspected the unit. Brig. T.B.L. CHURCHILL MC addressed the unit. Gen. Sir Richard L. McCREERY, K.C.B., D.S.O., M.B.F., MC., 10 Corps Comd. Inspected the unit. Maj. Gen. GREIGSON-ELLIS, D.S.O. Comd. 5 Div, and Brig LORNE-CAMPBELL, V.C., D.S.O. visited the unit. Maj. Gen. GREIGSON-ELLIS, D.S.O. visited the unit to congratulate it on the operation of 19 Mar. Brig. G.C. DAVY, C.B.E., D.S.O., inspected No. 5 Troop. 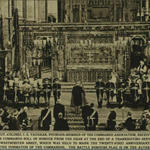 Admiral Sir W. COWAN, K.C.B., D.S.O., M.B.E., inspected unit's guard of honour. Maj. Gen. R.G. STURGESS, R.M., C.B.E., D.S.O., Comd. S.S. Group inspected the unit. Lieut-Col. C.E. VAUGHAN, M.B.E., addressed the unit. Brig. D.O. BUTTERWORTH, D.S.O., Comd. 3 Dist inspected unit accommodation. Maj. Gen. G.H. BOUCHER, C.B.E., D.S.O., Comd. 4 Ind Div visited the unit. Brug. O. do T. LOVETT, D.S.O. Comd. 7 Inf Bde inspected the unit. Brig. R.J.F. TOD, D.S.O., Comd. 2 Cdo Bde inspected the unit. Brig. R.J.F. TOD, DSO., addressed the unit. Lieut-Gen. C.F. KEIGHTLEY, C.B., D.S.O., O.B.E., Comd. 5 Corps visited unit and congratulated it on Op "Roast". Field Marshall, The Honourable Sir Harold R.L.G. ALEXANDER, G.C.B., C.S.I., D.S.O., M.C., visited Brigade and met all Cos and Major L.S. CALLF, M.C. He was accompanied by the Army Comd. Lieut-Gen. Sir Richard L. McCREERY, K.C.B., D.S.O., M.B.E., M.C. and 5 Corps Comd. Lieut. C.F. KEIGHTLEY, C.B., D.S.O., O.B.E. Brig. R.J.F. TOD, D.S.O. inspected the unit.